Please join Pen Station at its new home! 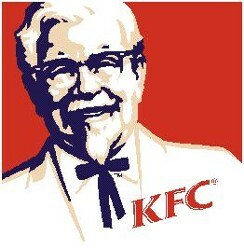 Do you know who Colonel Harland David Sanders was? I’ll give you a few hints…white suit, string tie, white goatee, southern charm, and the originator of a secret blend of eleven herbs and spices. Ah, you’ve got it now—the founder of Kentucky Fried Chicken, now known as KFC. But did you know that he was more than just a KFC marketing icon? While you may recognize the Colonel as a real person, more than half of a surveyed group of 18 to 25 year olds believe Colonel Sanders was a figure created by Madison Avenue marketers to represent KFC. They did not know he actually founded the company, and the white suit was not a costume, but his daily garb until he died in 1980. Does this really matter? Perhaps not much. However, what does matter is that this is another example of the blurring between fact and fiction. It happens time and again. What some know to be fiction, others believe to be fact. What some know to be fact, others believe to be fiction. Three literary examples spring to mind. The first is The Da Vinci Code, a novel written by Dan Brown. The bestseller has sold more than 80 million copies and has been translated into 44 languages. It also helped to revive debate over the possibility of an intimate relationship between Jesus and Mary Magdalene – a relationship that has no basis in historical fact. Yet many people read this novel – a work of fiction – as true. The second example is another popular novel, this one written by William P. Young, entitled The Shack. In it, the main character encounters the triune God in the form of an African-American woman, a male carpenter, and an Asian woman. Some Christian readers castigate it for being irreverent in its manifestation of the nature of God. Others praise it for blessing their relationship with the Lord. Trouble can occur, however, when readers mistake fiction for truth as they determine their beliefs about who God is. The third example is the Bible. For many, the Bible presents the opposite problem. People read the truth of the Bible, and dismiss it as fiction – ancient fairy tales created for simple minds in a simpler time. But the Bible is non-fiction. Its words are true and relevant to us today. What about those who don’t believe the Bible is God’s Word? How do we address those who say that, at best, the Bible is filled with historical and scientific inaccuracies? That’s easy. Archeological discoveries have repeatedly verified the historical accuracy of the Bible. Such finds have included the advanced civilization of Ur in Abraham’s day (Genesis 12), the collapse of Jericho’s walls (Joshua 6), and the power and influence of the Hittite nation mentioned throughout the Old Testament, but unknown in modern history until 19th century discoveries. When it comes to science, no teaching in the Bible violates scientific laws. In fact, 2000 years before Christ, Job noted that the earth hung suspended in space (Job 26:7), while his contemporaries in other cultures claimed the earth rested on pillars or on Atlas, who carried the earth on his back. In the area of biology, scientists now know that four distinguishable cell structures support four kinds of flesh, while Paul clearly stated this fact in his letter to the early Corinthian church (I Corinthians 15:39). Any supposed discrepancies between science and the Bible occur when unproven scientific theory is claimed to be fact. Finally, the Bible has been proven trustworthy in its prophecies. From Ezekiel’s description of Tyre’s destruction to Daniel’s visions of succeeding empires to the prophecies of Christ’s life and death, the Bible has shown itself to be reliable – without exception. People may be confused about other books, but there is no reason to be confused about the Bible. It is non-fiction: true, reliable, trustworthy, and relevant. As writers and teachers, we need to be sure of this for ourselves before we try to influence others. What book(s) have you read that seem to blur the line between fact and fiction? How do you determine the truth about what you read? All my life I’ve heard people say money cannot buy happiness. Two professors at Princeton University’s Woodrow Wilson School of Public Affairs set out to determine whether the saying is true. They analyzed 450,000 survey responses to learn if money can, indeed, buy happiness. The research report defined “emotional well-being” as the emotional qualities of everyday experience, and “life evaluation” as the thoughts people have about their life. The study indicated that income and education are closely related to life evaluation, but factors such as health and loneliness are more strongly related to daily emotions. The researchers determined that emotional well-being was related to income, but the level of happiness did not increase beyond an annual income of $75,000. They concluded that “high income buys life satisfaction but not happiness, and that low income is associated both with low life evaluation and low emotional well-being.” It seems that money can buy a type of happiness that involves satisfaction, but not necessarily pleasant emotions. Even if money could buy happiness, is happiness what we really want? The answer to this question seems like an obvious yes. Who doesn’t want to be happy? Certainly not me. And yet…if my happiness is dependent on my circumstances, what does that say about me? That my well-being hangs on temporary and shifting circumstances? That my happiness is controlled by the consequences of events and the influences of people who may not care about me or even know me? It’s a rollercoaster way of life. I know, I’ve tried living that way, and it’s no party! If my emotional well-being is going to depend on anything, I want it to depend on something that won’t capriciously shift or on someone who is always faithful, dependable, and trustworthy. Joy is what I’m after. The joy of knowing to whom I belong. The God of the universe calls me His child, and welcomes me to call Him Father. The joy of knowing He is sovereign. As Kay Arthur is fond of saying, nothing touches my life that hasn’t first been filtered through His fingers of love. This doesn’t mean I won’t have problems. Trust me, I’ve had my share, and then some! But it does mean I can rest in the knowledge that what God allows in my life is for His glory and my ultimate and eternal good. Money may or may not buy happiness, but Jesus Christ has purchased my joy. It’s this joy that motivates me to teach and to write so others might have it as well. What or who is your source of happiness? What or who is your source of joy? Remembering has been getting more difficult these days. Last week I spent twenty minutes looking for my car keys, only to find them on the drivers’ seat of my car. I’m constantly on the hunt for my eyeglasses, only to locate them…yup, on top of my head. Embarrassing admissions that I chalk up to “senior moments” – except I’m not a “senior”…yet. Remembering is important. The people and experiences we remember contribute to who we are…and who we are becoming. Remembering enables us to learn from our mistakes. Philosopher George Santayana noted, “Those who cannot remember the past are condemned to repeat it.” Remembering also motivates us to do better. “Remember the Alamo” was the rallying cry for the Texan freedom forces following Mexico’s defeat of Colonel Travis’ army. This week Americans are remembering something else. Saturday is September 11th—9/11—the ninth anniversary of the terrorist attacks responsible for the deaths of nearly 2800 people in New York City. But what should this remembering lead to? Do we remember so that we can “give back as good as we get”? Do we remember in order to stoke hatred for others? Is remembering about keeping score, burning copies of the Qur’an (as is being planned by a pastor in Florida), or deciding whether Muslims can build a mosque (the controversy raging in New York)? Before I continue, it may help to point out that the Bible clearly defines different roles for individuals and for governments. It is the government’s responsibility to keep its citizens safe (Romans 13:1-4). However, as individuals we are called to walk in humility and forgiveness and to love our enemy (Luke 6:27-28). Granted, when we read verses such as these, it’s much easier to support them in theory than it is to apply them to those who have hurt or betrayed us, or who openly espouse our destruction. Like us, the prop het Jonah struggled with the delicate balance between national defense and individual forgiveness. The ancient kingdom of Israel had to be on her guard against Assyria, a cruel enemy. Yet it was to this same enemy that God called Jonah to preach a message of repentance. Of course, Jonah did not want to go. He responded as many of us do when God calls us to do the hard thing—he ran in the opposite direction. The Assyrians deserved judgment, not forgiveness! When they repented in response to Jonah’s message, God chose not to bring judgment. 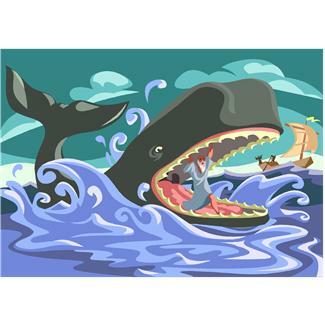 Rather than being happy with the success of his mission, Jonah became angry with God (Jonah 4:1-2). God is certainly not calling us to be foolish or naïve. Precautions must be taken for our safety and defense, and we rely on our government to do so. Of course, we should communicate our dissatisfaction when injustice occurs. And certainly, we can strongly protest the insensitivity and lack of wisdom in building a mosque so close to an area that still scrapes our collective and individual emotions raw with grief. Still, personal hostility undermines and contradicts our Christian witness. Burning copies of the Qur’an may send a “message,” but what message does it send? That we are willing to stoop to the lowest levels of our enemies? That we are more interested in showing superiority than we are in sharing salvation? Those of us who write, teach, or lead have been given the gift of communication—an ability to use words creatively or persuasively. We can honor God with this gift, or we can corrupt it to stoke the spread of hatred, making us no better than our enemies. As we remember this terrible anniversary, let’s do it in such a way that honors those who died or were injured, while not dishonoring Christ, since we bear His name. It can be done, but only as we depend on the Holy Spirit for His enabling. How will your remembrance of 9/11 reflect who you are as an American…and as a Christian? Are you stressed? Feeling like the proverbial hamster on a wheel, running fast but going nowhere? Too many things to do and not enough time to do them. Too much month at the end of the money. Too many commitments and not enough energy. Many of us make repeated visits to Stressville. Some of us live there right now. And most everyone is searching for solutions to handle stress. I googled the phrase “how to de-stress,” and 17,000,000 results popped up. Seventeen million! Solutions include recommendations to change eating habits, get more sleep, increase exercise, change jobs, set healthy boundaries, and yes, even eat chocolate! Yoga means union in Sanskrit. 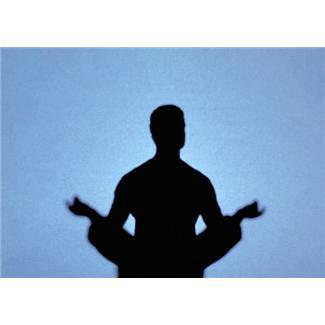 Many westerners practice yoga as a physical exercise, applying it to the union of mind, body, and spirit. However, yoga is a Hindu spiritual practice that is intended to unite the practitioner with Brahman—a universal cosmic consciousness or transcendent reality. Brahman is a three-in-one god: Brahma (the creator), Vishnu (the preserver), and Shiva (the destroyer). Hindu beliefs also include other gods and goddesses, as well as the concepts of karma and reincarnation. At least one yoga position was developed for the express purpose of uniting two Hindu gods within the human body. Can committed Christians practice yoga and still be true to their Christian beliefs? Many Christians believe the answer is yes. In fact, they may even participate in Christian Yoga—yoga programs that incorporate Christian Scripture and music, and which focus primarily on the physical exercise. Christians who practice yoga believe they can separate the physical exercises from their religious and philosophical origins. Hindu practitioners are the first to say this is impossible. Even if Christians suppose yoga can be practiced as merely physical exercise without Hindu’s religious influence, why would we participate in a form of exercise rooted in a religion and philosophy opposed to Christianity? Adding Bible verses, hymns, or Christian words as mantras does not change the essence of yoga. “Peace I leave with you; my peace I give you. I do not give to you as the world gives” (John 14:27). “So whether you eat or drink or whatever you do, do it all for the glory of God. Do not cause anyone to stumble, whether Jews, Greeks or the church of God—even as I try to please everybody in every way. For I am not seeking my own good but the good of many, so that they may be saved” (I Corinthians 10:31-33). Exercise, meditation, and relaxation are healthy pursuits. However, surely there are enough exercise, meditation, and relaxation programs in harmony with the Bible without opening ourselves up to influences that exist in opposition to Christianity. Those of us who are teachers and writers have an even wider sphere of influence by which others may be helped or hindered in their Christian walk. What choices will we make? I chuckled at her simile (after I looked up simile and metaphor to figure out which one it was) and moved on. A few days later, I accidentally cut the cuticle on the middle finger of my right hand. No problem. Compared to other injuries I’ve suffered over the years, on a scale of one to ten, this didn’t even merit a one. I covered it with some first-aid cream and a BAND-AID® and went on with my day. By Day 3, the cut still bled when touched and the area around it was inflamed and painful. I saturated it with hydrogen peroxide (ouch), then continued to cover it with first-aid cream and a bandage. Typing became more difficult, and I was reminded of Lisa’s quote. This continued for another week without improvement. Albert Einstein has been quoted as saying “The definition of insanity is doing the same thing over and over again and expecting different results.” I am living proof that he was correct. By Day 10, the skin around the finger tip had turned white from infection. A friend with a medical background called the area “angry. ” Trust me, you don’t want any part of your body angry with you. She strongly recommended that I have a doctor take care of it. I finally did…two days later. Result: painful injections, cutting, and a prescription for antibiotics. Typing is still painful, and Lisa’s quote is a little less amusing. As I ponder my painful finger, I wonder how many times I’ve behaved in a similar way with people. When others who are hurting share their pain, do I cover the problem with a few Bible verses, slap on a prayer “BAND-AID®” and move on, leaving a festering, infected wound under a clean bandage? When writer friends share their frustrations over their latest writing obstacle or a recent rejection, do I slap on some “first aid” sympathy and move on to share my own writing difficulties? Or do I show sincere compassion for their frustrations? When a class member misses several classes due to family issues, am I oblivious to the needs of my students? Or am I quick to notice and provide encouragement? There’s nothing wrong with sharing Scripture and prayer with hurting people. However let’s not do it in such a way that we become “hit and run” Christians. We can take the time to really listen and be there for others, or we can treat them like today’s “project,” only to shuffle them off tomorrow. How will you respond the next time someone shares a hurt with you? Everyone thought they knew Carly. Her family, her doctors, her therapists, even her twin sister. Carly is a teenage girl with autism. For eleven years, her family loved and cared for her. They provided her with all the therapy she needed, but she experienced little, if any, progress in her rate of development. Despite 40+ hours of therapy per week, her family knew her as a mute girl whose physical habits of arm-flailing, head-banging, rocking, and tantrums indicated a severely developmentally disabled child—one whose intelligence level was significantly stunted. Until Carly “spoke” her first message using a computer keyboard. You don’t know what it feels like to be me, when you can’t sit still because your legs feel like they are on fire, or it feels like a hundred ants are crawling up your arms. People look at me and assume I am dumb because I can’t talk. I am autistic, but that is not who I am. Take time to know me before you judge me. This problem of judging others based on their ability to converse does not only target the physically disabled. It’s easy to have negative opinions or low expectations of anyone who doesn’t communicate the way we do. We see it in the man with a Ph.D. who is clerking at the corner grocery store – no one will hire him in his field because he speaks with a strong accent. Or the painfully shy student in class who is judged “stupid” by her peers because she stutters when she speaks. Whether we’re homeschooling children, teaching a Bible study class, or writing a book, how do we respond to our audience? Writers are often counseled to “resist the urge to explain” – to communicate clearly and trust their audience to understand the subtleties of what they’re writing. Teachers are trained to use multiple teaching methods to reach all their students, whether those students have visual, auditory, or tactile learning styles. Of course, not every person will be able to overcome their communication challenges the way Carly did. But whether we are writing, teaching, or simply living alongside people from all ages and all walks of life, let’s make an effort to look past the stereotypes – past the accents, clothing styles, and even past physical quirks or disabilities. It’s a matter of respect for each individual. In doing so, we may discover we rarely know others as well as we think we do. And we may be surprised to learn they know more than we thought.